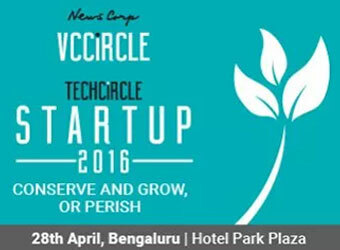 About 150 startup entrepreneurs and investors had a chance to visit the offices of top venture capital firms, accelerator and a VC-backed top tech firm during the 'Startup Walkabout' as part of the Techcircle Startup 2016 summit in Bengaluru. The participants met key people at Kalaari Capital, Axilor Venture, Microsoft Ventures, Prime Venture Partners and InMobi. Kalaari Capital At Kalaari Capital, managing director Rajesh Raju interacted with the Startup Walkabout participants. "Internet and internet-based services will remain the cornerstone of Kalaari Capital's investments," he said. Kalaari Capital, which has raised three funds and has managed over $650 million in assets since inception, will focus on investing more in fin-tech startups from Kalaari III (it's third fund) and will soon announce an investment in the logistics space. Digital media and entertainment will also be an investment theme for Kalaari III. "Investing around internet always remained the thesis of our investments. For example, in Kalaari II, mobile and ed-tech were big focus areas for us,"said Raju. According to Raju, fin-tech is a shortcut to address the deficiencies in financial services in India. Likewise, the e-commerce enablers space is also an interesting theme of investment for Kalaari. Over the years, though Kalaari has moved away from B2B to B2C, it will continue to experiment in the B2B sector, he said. Axilor Venture At Axilor, participants interacted with startups at the Axilor accelerator programme and interacted with co-founder and CEO Ganapathy Venugopal. As many as 56 founders across 24 startups have gone through Axilor's accelerator programme in a year, said Venugopal. Axilor runs a 100-day intense programme and a scale-up programme for select startups, besides making seed stage funding of Rs 1-3 crore. "We offer Rs 25 lakh to startups at our scale-up programme to do six to eight experiments. We will then ask them to focus on two of them which gave best results," Venugopal said. "This is the sixth quarter for us. One of the five in the first batch raised money and subsequently got acquired. We had a good exit," he said. "We fund typically 30-50% of startups selected for our programme," he added. About the firm's investment approach, he said founders should have answers to whether people want their idea, whether there is willingness to pay and who will pay for their product. Microsoft Ventures Anjali Pillai, head of engagements at Microsoft Ventures, told participants that Microsoft Ventures is the initiative from the global tech giant to position itself as an "innovation friendly place". "The accelerator programme has now grown to a stage where it works with growth-stage companies that can best utilise technology," said Pillai. She said Microsoft Ventures prefers to work with revenue making B2B companies that serve more than 100,000 customers. "We would like innovators to use our technology, Microsoft Azure, our enterprise platform. The insights we gain from startups that use Azure makes us understand what's missing in Azure and those insights go to our research," she said. Microsoft Ventures offers mentoring, investor connect, go to market and infrastructure for startups. InMobi Arun Kumar Pattabhiraman, vice president and global head of marketing, and Supriya Goswami, director marketing, India and Southeast Asia, led an interactive session with the Startup Walkabout participants at the ad-tech company InMobi. Pattabhiraman said mobile advertising is a $100 billion market and the opportunities it presents are limitless. Terming InMobi as the world's largest independent mobile ad network, he said the company has 17 offices and 1,000 employees across the globe. Ever since pivoting to the mobile ad space, the company has ventured into various aspects of mobile advertising and the latest one is mobile advertising for e-commerce, which Pattabhiraman said is at a nascent stage. He said mobile advertisement has grown from measuring views, clicks and impressions to measuring return on investments. InMobi also invests in moon-shot projects, which are ideas for the future. He said there are around 40 startups today founded by former InMobi employees. The company has raised $215 million so far, of which $200 million came from SoftBank. Prime Venture Partners At Prime Venture Partners, the early-stage investor and incubator, managing director Shripati Acharya explained the growth metrics for startups. "While there are many metrics to ascertain the health of a startup at its early stages, retention as a metric is considered very paramount and has a universal appeal since it is an actionable element," he said. "In the early stages of a startup, averages and absolute metrics do not help. In a new business, one has to look at the rate of growth of metrics, not just the absolute number of users. So, benchmarks matter," said Acharya. Acharya said that blending metrics for an early-stage startup results in a lot of numbers which do not really help. A good metric is self-explanatory, relative, goal driven and granular, he added.